Minecraft PE 1.2.0 - Illusioner! 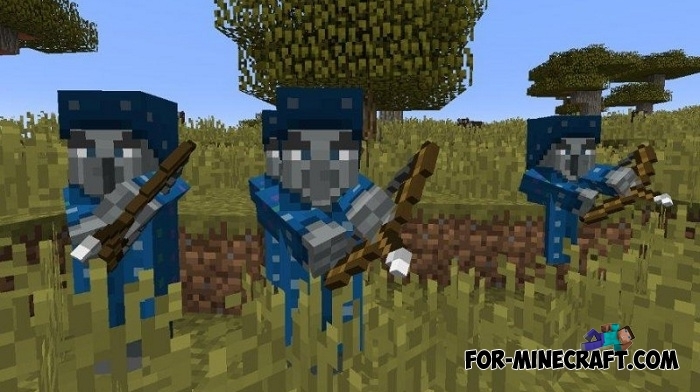 For-Minecraft.com » Minecraft PE 1.2 » Minecraft PE 1.2.0 - Illusioner! We can say with confidence that two new mobs will be added in future versions, most likely to Minecraft PE 1.2.0 since the Pocket Edition is now almost a full copy of MC PC. The first mob is a parrot about which you can read in this article. It's time to introduce you to the second mob but this time a hostile mob. Illusioner! That's his name and for you it will be a really formidable opponent on a par with the Evoker. 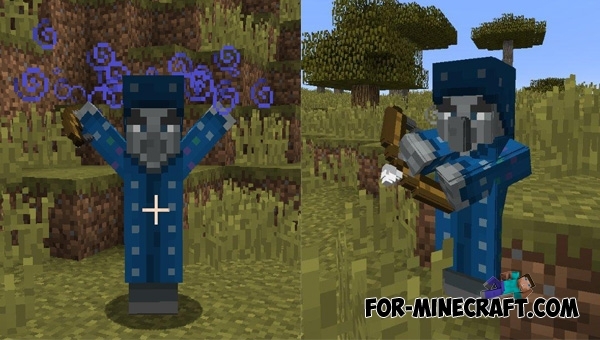 The new mob casts the effect of blindness for 20 seconds when meeting you, after which he takes out his bow and starts shooting. In addition, the Illusioner will create four copies of himself, completely repeating his actions. These illusions get the effect of invisibility and only the real Illusioner can take damage and attack you. Also, the new mob can pass through walls. But how to defeat this monster? This we will discuss in future articles.